Department of Art | Time to Apply for the Public Art & Architectural Art Program! Home » News » Time to Apply for the Public Art & Architectural Art Program! 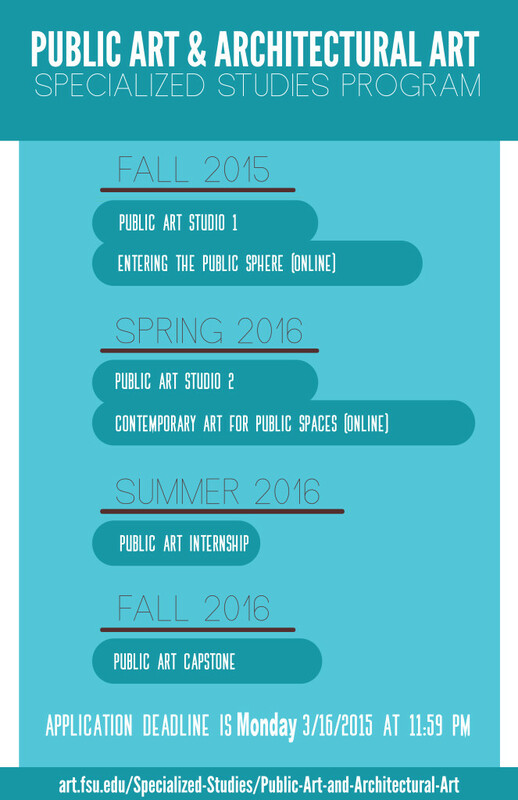 Time to Apply for the Public Art & Architectural Art Program! 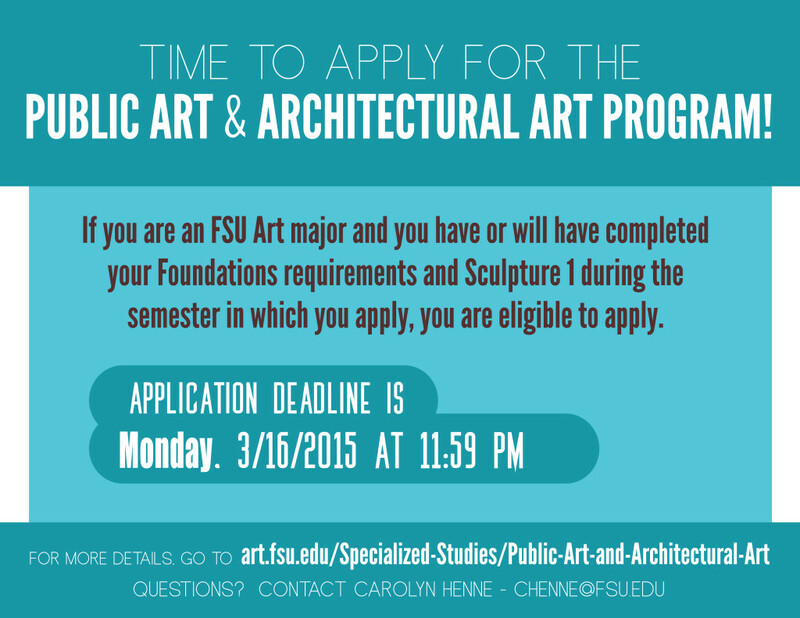 If you are an FSU Art major and you have or will have completed your Foundations requirements and Sculpture 1 during the semester in which you apply, you are eligible to apply.